Through the past several weeks we have been talking all about wedding cakes - shapes, sizes, designs, flavors, and even two weeks of discussion about fake cakes. 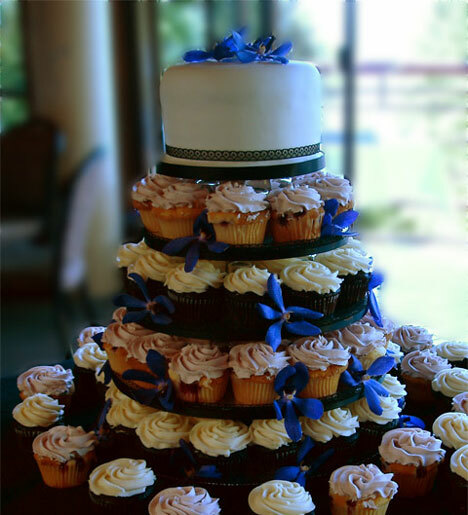 Today, we will discuss something a little different, alternatives to wedding cakes. 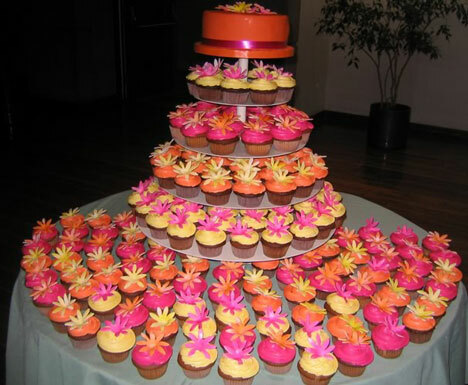 Though some couples can't imagine not having a wedding cake, others may want to try something a little bit different. In recent years, more and more people are experimenting with different types of wedding desserts rather than traditional wedding cake. Cupcakes are the most common alternative. The main reason is that they are cheap. Secondary is the fact that they are yummy! Seriously, who doesn't like cupcakes? 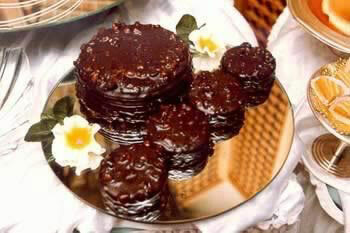 They are easy to eat, easy to make and you can still stack them in the shape of a wedding cake. 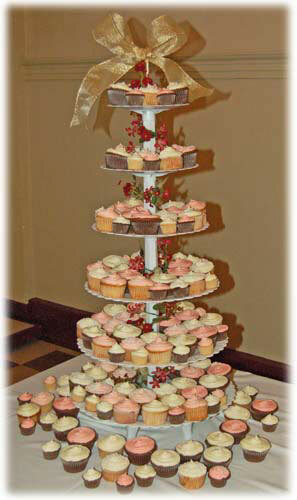 Many cake designers can offer tiers of cupcakes with a small layer cake on top that can be used for the cake-cutting ceremony. Or if you don't want the added cost, you bake the cupcakes yourself at home. 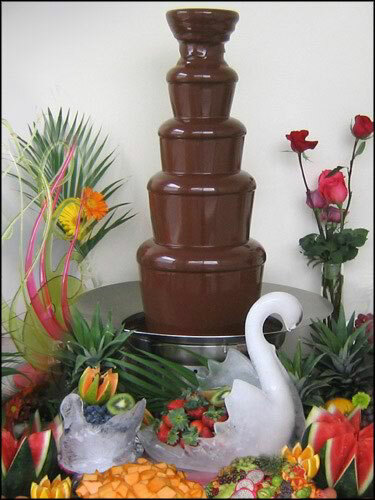 Cupcakes aren't the only alternative to wedding cake - a chocolate fountain is also a good choice. With a chocolate fountain, your wedding guests can dip fruit, cookies, pretzels and other treats in the rich, smooth delicious chocolate. The fountain itself makes a dramatic statement. To cut wedding costs, some couples are skipping the sit-down dinner and instead have a dessert and cocktails reception. This is only appropriate for evening weddings after 7:00pm. Be sure to indicate on the invitation that dessert (not dinner) will be served. For a dessert reception, offer an array of cheesecake, mousse, tortes, pastries, fresh fruit or even ice cream sundaes. Serve dessert wine, coffee and tea. As long as your guests aren't expecting a meal, a dessert only reception won't come off as cheap. Be creative when coming up with substitutes for wedding cake. I have seen everything from a Jello mold in the shape of a wedding cake to miniature candy bars stacked like a cake. Whatever your pleasure, have fun with it. After all, you only get married once (in theory)!